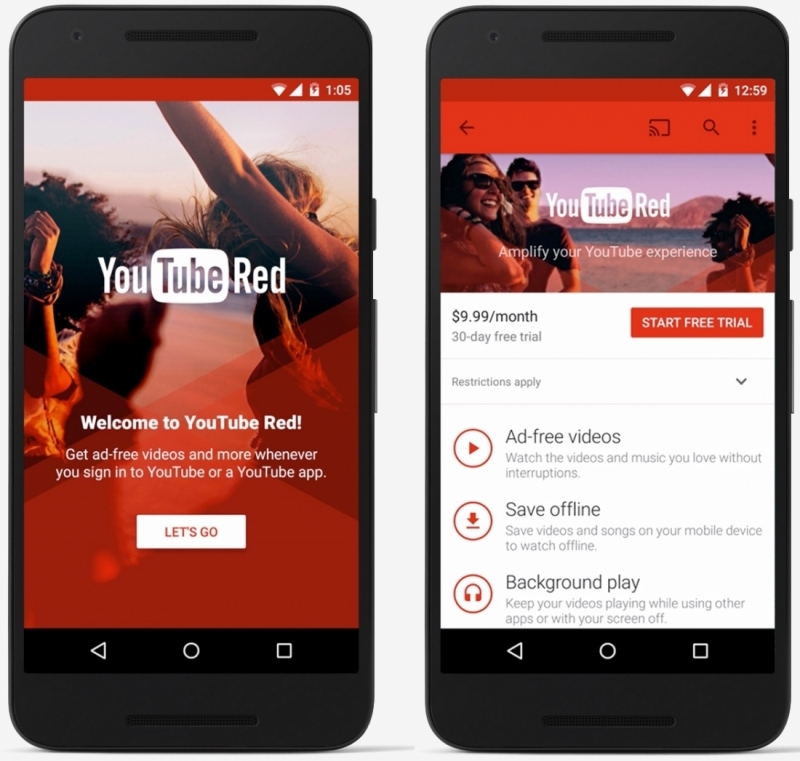 When YouTube Red launched in October, it introduced a way for subscribers to watch YouTube without ads and gave them the option to save videos for offline viewing. Now, reports have surfaced suggesting that the company is preparing to strike deals with Hollywood studios and production companies to bring streaming movies and TV shows to YouTube Red, putting the $9.99-a-month service in direct competition with the likes of Netflix, Hulu, and Amazon Prime Instant Video. The Wall Street Journal reports that the talks are still in the “early stages,” and involve YouTube executives Susanne Daniels, the former programming chief of MTV who joined the company in the summer, and Kelly Merryman, a former Netflix content executive who joined YouTube in late 2014. Both execs report to Robert Kyncl - YouTube’s chief business officer and another former Netflix employee. Some big-name YouTubers are in the process of making their own shows exclusively for YouTube Red, including PewDiePie, The Fine Brothers and Lilly Singh. In addition to exclusive content and offline videos, subscribers to YouTube Red also get access to Google Play Music. Should the reports prove to be true and the channel does introduce its own Hollywood-produced shows and movies, YouTube Red could become a serious contender in the subscription-based streaming service market.